This month's theme is Woodland's Mansion! We are not accepting new orders at this time. 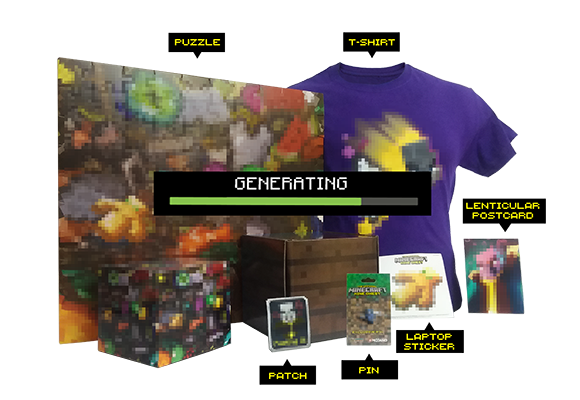 Sign up for updates below to hear about the future of Mine Chest! All Minecraft elements © 2019 Mojang AB and Mojang Synergies AB. MINECRAFT and MOJANG are trademarks or registered trademarks of Mojang Synergies AB. Mine Chest is a registered trademark of Adventure Chest Inc. Thank you for your interest in Mine Chest. You will soon receive updates from us, please contact us if you need any more details.